Thursday, April 28, 6 p.m. to 9 p.m. The Falls, one of the largest open-air shopping, dining and entertainment complexes in the United States, is excited to present its â€œ3rd Annual Girls Night Out: Spring Preview.â€ The exciting event serves to engage local women in an evening of networking, fashion, delicious culinary tastings, signature martinis courtesy of Blue Martini in Kendall, incredible savings and more. In addition, the first 150 guests will receive a gift bag filled with goodies courtesy of The Falls (while supplies last). Famed South Florida Event Designer and Stylist to the stars, Godfrey del Rio, will present a spring â€œtrend showâ€ that will showcase the latest style looks. In addition, guests will also enjoy make-up demonstrations, event stations featuring home dÃ©cor ideas for spring, spectacular specials featured in The Falls Spring Savings coupon book and more. Guests will also have the chance to enter to win fabulous Falls prize packages including two shopping sprees at The Falls and other great prizes. Sunday, May 1, from 1:00 to 4:00 p.m.
Shake-a-Leg Miami will be holding its monthly Community Bay Day on Sunday, May 1, from 1:00 to 4:00 p.m. The event is open to the public at Shake-a-Leg Miamiâ€™s sailing center, 2620 South Bayshore Drive in Coconut Grove. Community Bay Day is Shake-a-Leg Miamiâ€™s monthly open house where the public can take advantage of everything Shake-a-Leg Miami offers – including sailing, kayaking and power boating. Community Bay Day is also an opportunity to learn about camps, lessons, and other activities offered at the sailing center. Shake-a-Leg Miami is a non-profit organization that offers lessons, water sports rentals, and special outings in addition to being one of the largest adaptive water sports centers in the United States. No reservations are required. A $5 donation is requested as an entrance fee. Parking is free for all guests. For more information, please visit www.shakealegmiami.org or call (305) 858-5550. On Tuesday, April 26th, 2011 the Greater Miami & The Beaches Hotel Association (GMBHA) honors over 250 hotel employees across Miami Dade County. The event attracts over 400 hospitality, corporate and governmental leaders to join our hoteliers, their management team in recognizing their hourly employees, the â€œheartâ€ of our tourism industry. The 21 employee categories range from Bellman, Housekeepers, to Culinary and Engineering. There are also 5 hotel awards in the categories of Diversity, Environmental, Quality, Community Relations and Employee Relations that are recognized. Last yearâ€™s hotel awards were given to InterContinental Miami for Community Service, Mandarin Oriental for Guest Relations, The Setai for Diversity, Clifton for Environmental Recognition and Canyon Ranch for Employee Relations. A portion of the net proceeds benefit The GMBHA Academy of Hospitality and Tourism (Miami Dade County Public Schools) Stuart L. Blumberg Scholarship Fund. Cherry Bongiorno, cherry@gmbha.com, for allied member expo information. 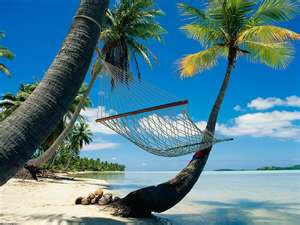 Cost: $50.00/members; $60/guests & non-members; and sponsorships from $1,500 to $10,000. Grab your significant other, your best friend or the whole gang and spend the most spectacular Saturday a Culinary Enthusiast can imagine. 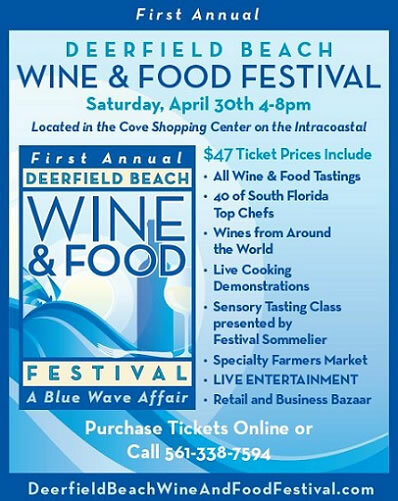 Please your palate, step into your stride and mingle among the best chefs in South Florida at the 1st Annual Deerfield Beach Wine & Food Festival on Saturday, April 30th, 2011 from 4 to 8 PM. With the cool Intracoastal waters as the backdrop, this intimate festival will give you a unique up-close and personal experience of tasting dishes from South Floridaâ€™s Top 40 Chefs as well learning from the masters themselves during their cooking demonstrations. Stroll down the chefâ€™s tables, feel the balmy breeze and savor the excitement as the sun sets and the evening ascends while listening to the live music in the background. Exotic wines and culinary feasts will embrace you in sensory delight. You will enjoy over 40 fine artisan wines & spirits and distinctive food pairings, cooking demonstrations, wine pairing explanations and cultural revelations abound as you meet and mingle with some of the most brilliant sommeliers and extraordinarily talented chefs. Saturday, April 30, 2011 @ 7:00p.m. Voices United, (VU) a Miami-based non-profit organization designed to promote cross-cultural understanding through the arts, is proud to present, The Story Within Me, an uplifting musical written and performed by a dynamic and multi-cultural cast of 72 students, ages 10 to 18. It is the story of a group of people, with diverse backgrounds and experiences stuck at an airport together. Social issues such as discrimination, substance abuse and pollution are addressed through compelling scenes, heartfelt songs and energetic choreography. 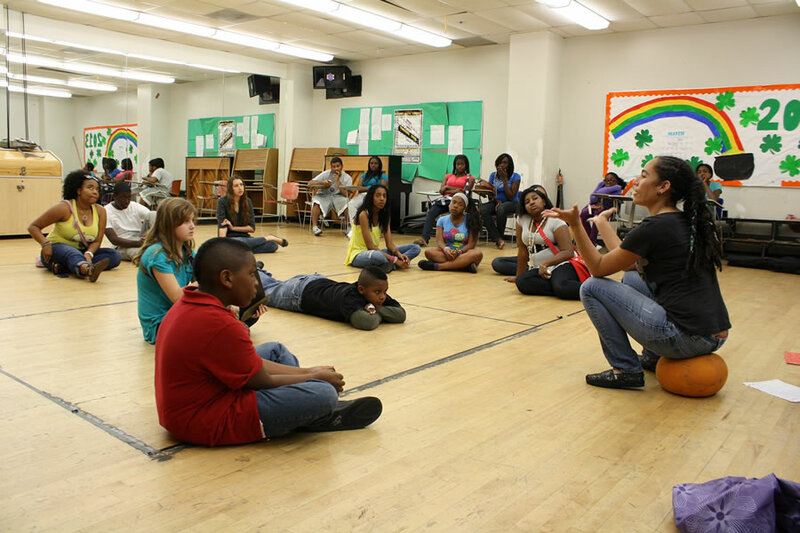 The culturally diverse ensemble is comprised of student actors, singers, dancers, musicians & visual artists, representing 30 schools in Miami-Dade & Broward Counties. To purchase tickets for The Story Within Me please visit http://voicesunited.org/voicesunited/calendar or contact Katie Christie, Founder & Artistic Director, 305-726-4822, e-mail Katie@voicesunited.org. Photos attached: 2876 jpg. Caption: Katie Christie, Founder & Artistic Director for Voices United and cast members creating the plotline for The Story Within Me during a rehearsal. 2922 jpg. Caption: Nick Williams, 18, and Bianca Sirgany, 16, composing a song for The Story Within Me presented by Voices United. Photos by: Voices United. 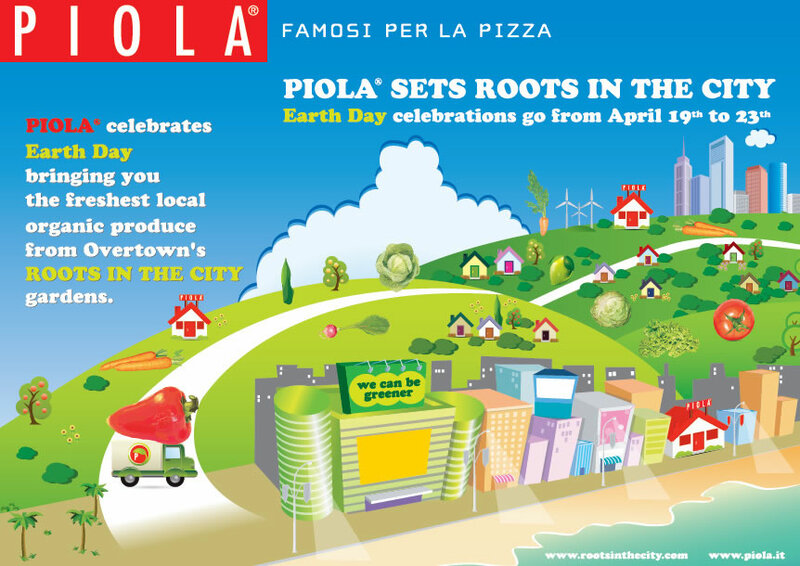 April 19 – 23, 2011, 11 a.m. – 11 p.m.
Piola will unveil a locally inspired Earth Day menu at its restaurants in Brickell, Miami Beach and Hallandale Beach April 19 â€“ 23 to showcase the produce from the Roots In The City Overtown community garden. Ten percent of Piolaâ€™s Earth Day proceeds will benefit Roots In the City, which provides affordable fresh produce to low-income families, public school students, community agencies and homeless shelters in Miami-Dade County. â€¢	All Piola customers will receive a bag of seeds (including planting instructions) from the Roots In the City garden at the corner of Northwest Third Avenue and Northwest 10th Street. â€¢	Members of the Piola staff will pick some vegetables to be featured on the restaurantâ€™s Earth Day menu. This event is being held simultaneously in three locations. An art show and sale by the Ann Storck Center. 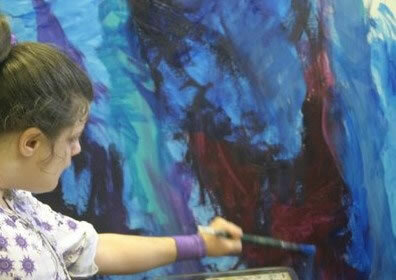 The Ann Storck Center is dedicated to enriching the lives of children and adults with developmental disabilities and offers a fine arts program, which allows residents to develop physical movement and creative expression. 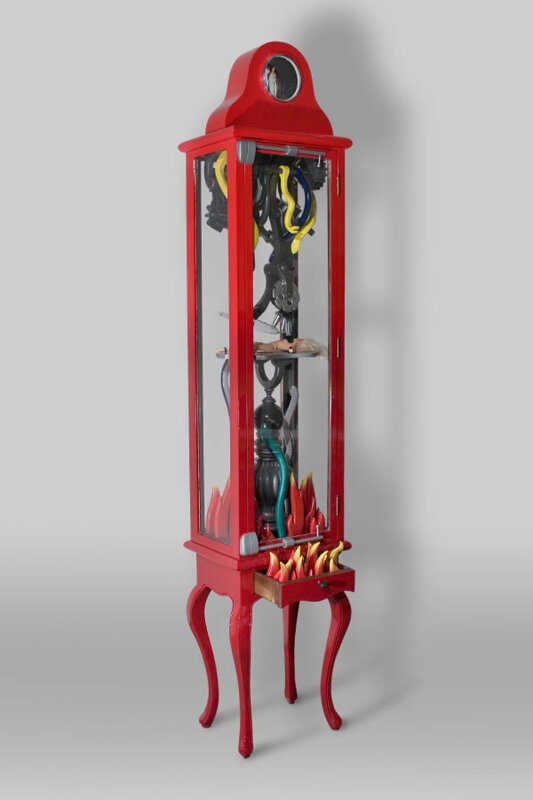 There will also be a month-long childrenâ€™s art exhibition, â€œLook Whoâ€™s Living in the Trees,â€ from Young at Art Childrenâ€™s Museum. The Galleriaâ€™s â€œSpring for the Artsâ€ will unite Browardâ€™s diverse array of arts groups from April 2 through April 30. The arts celebration was created to educate, inspire and motivate the community to embrace the arts. Spearheaded by The Galleria, this month-long program will provide a platform for local arts groups to promote their organizations, plus raise funds for Funding Arts Broward, which provides grants to further the arts in our community. Rina Jakubowicz will be hosting a book signing of her new book, CHOOSE PEACE, at Books & Books CafÃ© in Coral Gables. Friday, April 22, 2011 at 8:00p.m. Join Rina Jakubowicz as she discusses her new book, Choose Peace â€“ A Practical Guide Into Consciousness in a conversation exploring the undiscovered obstacles, which prevent us from living life to the fullest. Rina, Instructor & Owner of Rina Yoga Studios in Miami, is a popular and respected figure in the yoga community. Through her own challenges and transitions, Rina was led to write Choose Peace as a way of finding her own sources of strength and fulfillment. Drawing upon the principles of Patanjaliâ€™s Yoga Sutras, the original teachings of yoga, Rina created a modern-day guide to discovering the potential that we all possess in order to live a life of authentic happiness. Come celebrate Star Wars style with author Jason Fry and illustrator Chris Trevas and the costumed characters of the 501st Legion. Giveaways, photo ops, and a chance to win a Star Wars Mimobot flash drive, Her Universe SW t-shirt and other great prizes will abound! DK Star Wars Attack of the Authors East Coast Tour begins in early May; a group of DKâ€™s talented Star Wars authors and illustrators will hit the road, visiting bookstores, schools, and libraries. Events will run from May 7th through May 15th, from Massachusetts, all the way down to Florida. You’re invited to meet the cast of Disney’s new movie, “Prom.” Be our date in the junior department at Macy’s. The first 200 guests will meet stars Aimee Teegarden Janelle Ortiz and Thomas McDonell. Make a girl’s prom dream come true! Donate your gently worn prom of formal dress at the signing and it will go in the to the local donate-my-dress-dot-org chapter, Becca’s Closet. Who who will you take? See PROM in theaters April 29. Event subject to change or cancellation. No purchase necessary. Limit one autograph per guest while time permits. Personal items will not be signed. DonateMyDress.org donation is optional. PROM elements(c)Disney Enterprises, Inc. All rights reserved. 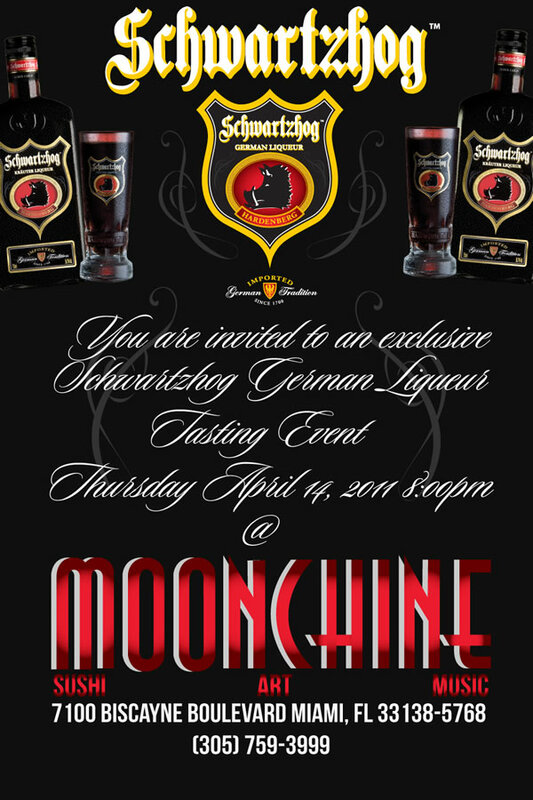 Tuesday, April 19 from 7 to 10 p.m.
Take a midweek break Tuesday, April 19 to watch the full moon rise above the Atlantic at one of Fort Lauderdaleâ€™s best parties. Relax on plush lounges on the 7th floor tropical pool deck and be pampered with Ritz-Carlton service as you sip specialty priced, 100% organic, acai berry VEEV cocktails and move to music by DJ Rob Riggs. The Ritz-Carlton, Fort Lauderdale is proud to partner with the Everglades Foundation, (www.evergladesfoundation.org) and their efforts to protect and restore Floridaâ€™s native ecosystem and wildlife, and unveil their new logo chosen from over 700 entries collected earlier this year, initiating their new campaign to protect Americaâ€™s most famed subtropical wetland. For just $10, weâ€™ll give you a seedling to start your own herb garden and a complimentary cocktail for your good intentions. 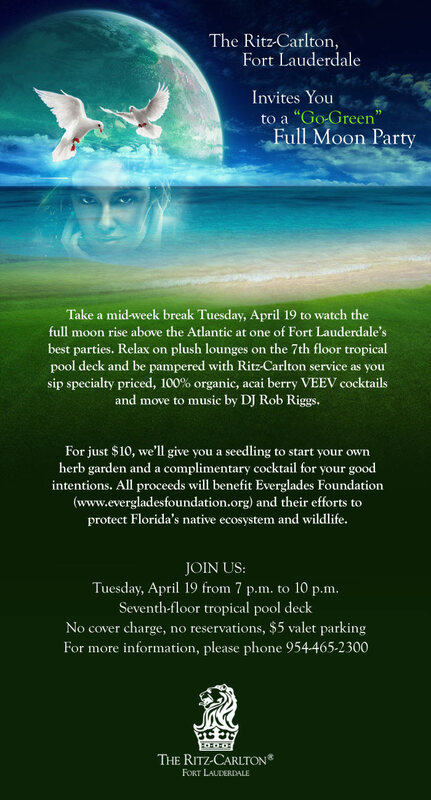 All proceeds will benefit Everglades Foundation. Casual, chic and sensual, these full moon parties make you feel like a VIP. Gorgeous Ritz-Carlton service, no cover charge, no reservations and just $5 valet parking. Brickell Entertainment Presents Famous Ocean Saturdays at Club O1. Join us for At Famous Ocean regulars DJ Lazardi, Nikolas and Rey Fernandez. This event is brought to you by: Zar Productions, Dag Productions, Raymond Productions & World Sounds Productions. Every Sunday Night From 7pm to 5am, Nikki Music is our weekly party providing you with the freshest tracks and entertainment. Join us this week for a special set by Guest DJ ANI PHEARCE . This week’s line up also features Nikki Beach Miami Residents Bruno Robles, Felipe Kaval and Armand Pena! 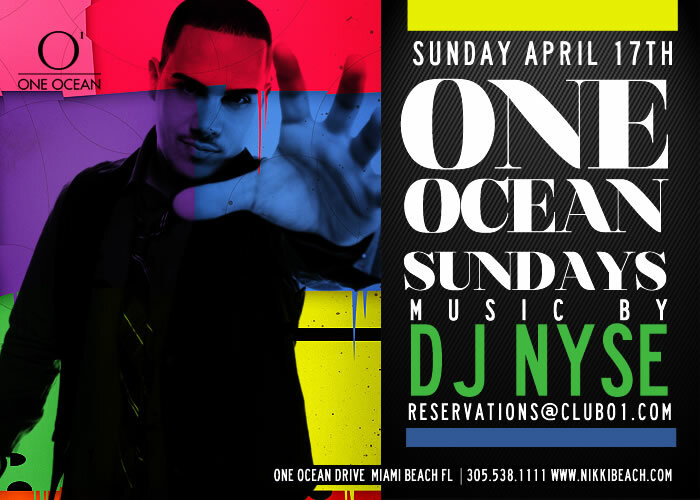 Every Sunday night starting at 11PM One Ocean Sundays will provide you with amazing entertainment and Music by DJ NYSE bringing you the best in Open Format. After a Year and a Half in the US, Aude can no longer resist and is very impatient to share a selection of her favorite recipes from her French Homeland with you. For Aude its like flying Home in order to say : “Merci Maman for all this wonderful recipes”. Together with Chef Carlos we paired our next Wine-Dinner featuring Aude’s favorite recipes with amazing French Wines from the Beaujolais, Bourgogne, Bordeaux, Loire and Alsace regions. Our special guest will be Tal Cohen from Selected Brands, an outstanding expert in French Wines, who will give you his thoughts and tasting notes during the Dinner. For your convenience (and because Aude, as every woman, was absolutely unable to make a final choice… ) we have two options for the Hors-d’Oeuvres. Please let us know your choice when making your reservations. Toasts au Saumon FumÃ©, Oeufs de Lump et Rillettes, Roulade d’Aubergines grillees au Confit de Tomates et St Moret. A Variety of Classic Grilled Toast points with Smoked Salmon, Lumpfish Roe and Roasted Eggplant bites. Shrimp Cocktail with a Whiskey scented French Cocktail Sauce. Option 2: Tranche de Foie Gras avec sa Confiture d’Oignons, Figues et ses Toasts. A slice of Foie Gras, slightly chilled and served with Onion Confit and Fig Jam. Coeurs de Saumon, Sauce Vin Rouge avec ses pommes vapeurs et son bouquet d’Haricots Verts. Juicy Salmon baked in a Shallot and Red Wine Sauce with Steamed Potatoes and Green Beans. Le Traditionnel Boeuf aux Carottes accompagnÃ© de notre PurÃ©e Maison. The French Classic Beef and Carrot Stew with our Creamy Homemade Mashed Potatoes. Les Classiques: Pomme au Four avec une Glace Ã la Vanille, Pain Perdu et Orangettes. The Elastic Mind Project was founded to find and empower the next generation of great Colombians from the barrios of Bogota. Twilight Notes and Freedom Art are proud to present â€œImage Is Everything,â€ a photo exhibition and music event. Featuring well established professionals as well as emerging local photographers, Jose Lopez has painstakingly selected the best of the best to showcase their work this month. Twilight Notes is bringing together another excellent line-up of Djâ€™s, featuring Kent Lawlor, Eric Pamphile, Adam Foster, and some very special guests. Styles upon styles is what we have; hit the floor with us as we bring the best in dub, indie, disco, hip hop, soul, and house. â€¦.and more to be announced soon! 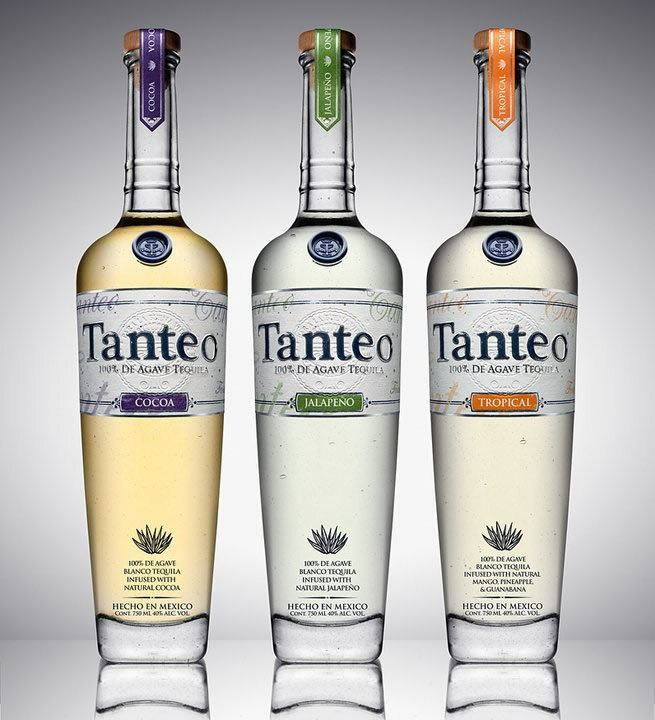 Tanteo tequila takes pure blanco tequila from 100% Weber blue agave and then infuses it with jalapeno, chocolate or tropical fruit extracts. Flavored tequila was previously prohibited by the CRT, but in 2006 the rules surrounding the infusion of tequilas with various flavors was relaxed allowing for the production of these drinks. The fact that the CRT have relaxed their laws shouldnâ€™t be indication that people can do what the hell they want with tequila, and Tanteo takes a great first step and the results are a high quality product that is both delicious and still respects the tequila in the process. Please join us this Saturday April 16th from 2-5 pm at our South Beach location, 1328 Alton Road, for a celebration of modern invention and traditional artisan methods. And of course, to drink some Tequila! 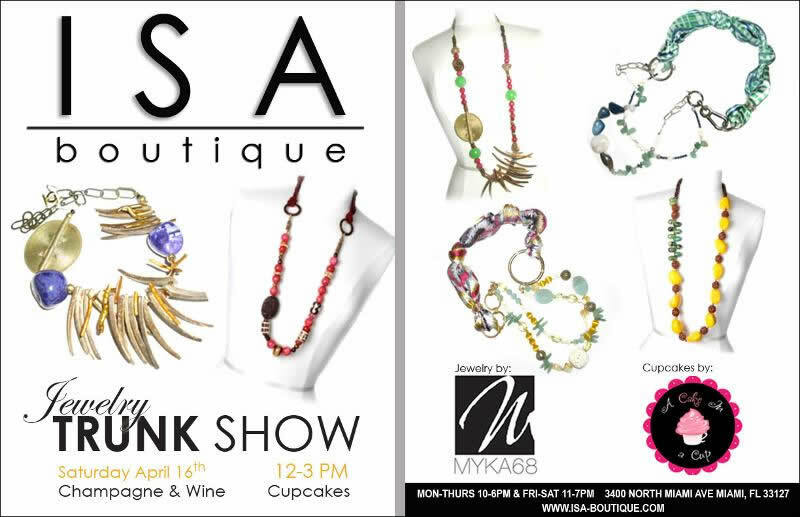 Saturday, May 14, 2 p.m. to 4 p.m. 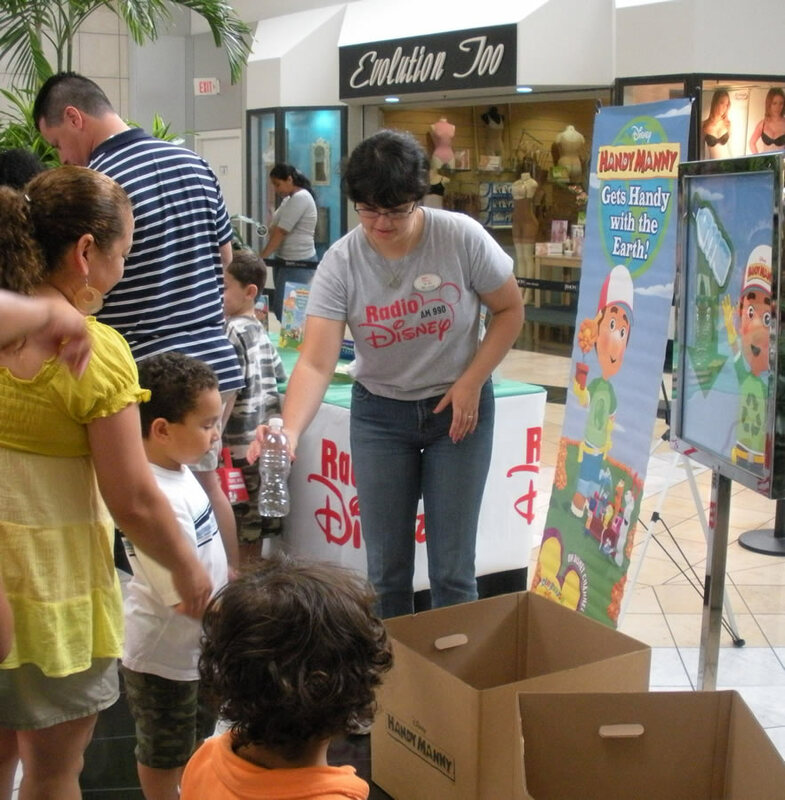 Families are encouraged to embrace all that is â€˜greenâ€™ during Miami International Mallâ€™s â€œLittle Planet Helpersâ€ a free, eco-themed event hosted by the Simon Kidgits Club, featuring hands-on Earth Day festivities that will teach kids how to keep the environment clean and green. Kids will have the opportunity to decorate paper mache flowerpots and decorate Winn-Dixie brown paper bags to be displayed and to be given out at Winn-Dixie stores. Kids will also have the opportunity to learn recycling tips from the city of Doral representative. Beginning Wednesday, April 20, 2011, Lords South Beach will debut its weekly â€œGame Lordsâ€ party series poolside at the Cha Cha Cabana. Fueled by local scenesters Erica Fickling and Ernesto Reyes of Veni Vidi Vici, guests can expect a boozy take on old-school pastimes such as Twister, Spin the Bottle and strip-Texas Hold â€˜Em, along with college frat house favorites Beer Pong and Flip Cup and classics Connect Four and Jenga. The gameâ€™s winners will amass points throughout the evening, with the top-scoring competitors receiving prizes ranging from complimentary cocktails to a one-night stay at the hotel. In true Lords South Beach fashion, bathing suits are encouraged for splashing and sipping in its any of its three courtyard plunge pools. Fabulous drinks specials offered, include $2 signature Lords South Beach shots, $4 select beers and $8 well cocktails. Guests are welcome to bring their iPods to help create the musical score. To RSVP for Game Lords, which is recommended, contact lords@taraink.com or call 877.448.4754. Lords South Beach is the first gay boutique hotel brand to launch in the U.S. Formerly the site of the Nash Hotel, the property has undergone an extensive redesign and renovation to align with the new brand and concept. Situated in the heart of South Beach on Collins Avenue, the hotel has 54 rooms, three plunge pools and a variety of exciting venues, including the Cha Cha Rooster Restaurant and Bar. It also boasts a variety of choice amenities, such as a digital concierge offered by Out magazine, as well as the Lords Social Network, Check(It)Out, which allows guests to log on when a reservation is booked and connect with other Lords South Beach guests for travel tips, restaurant reviews and social connections. For more information, visit www.lordssouthbeach.com. 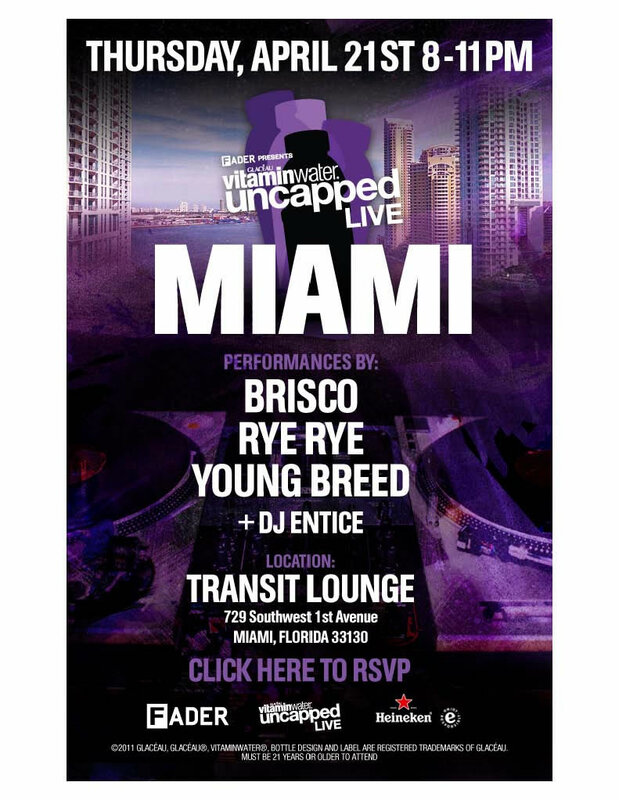 To RSVP, which is recommended, contact info@cafeinamiami.com or call 305.438.0792. 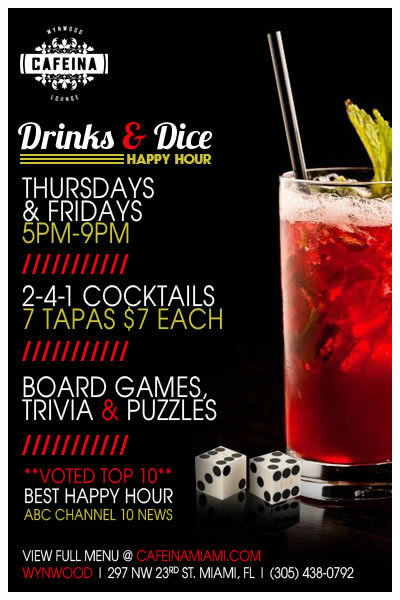 Cafeina, the Wynwood resto-lounge and art gallery, is proud to launch its â€œDrinks & Diceâ€ Happy Hour, featuring 2-4-1 drinks and a selection of tapas for seven dollars. In a new twist on â€œgame night,â€ guests will be able to enjoy a variety of board games, trivia and puzzles free-of-charge, including Pictionary, Taboo, Jenga, Monopoly, Scrabble, Backgammon and more. Tournaments will also be held on a monthly basis. Beginning Thursday, April 21, 2011, from 5 PM to 9 PM, Cafeina will offer beers, wine, well drinks and signature cocktails, including the CafÃ© con Leche Martini, at 2-4-1 pricing. Featured culinary favorites on the specialty menu include Kobe Beef Sliders, Margherita Flatbread, Goat Cheese Croquettes, Stuffed Dates, Shrimp Ceviche and Quesadillas. Cafeina is a multi-room, resto-lounge and art gallery with a lush outdoor garden. The indoor/outdoor space is open Thursday through Saturday 5:00 PM to 3:00 AM, and Sunday from 11:00 AM until 4:00 PM. Self parking is available. For more information, please visit www.cafeinamiami.com. 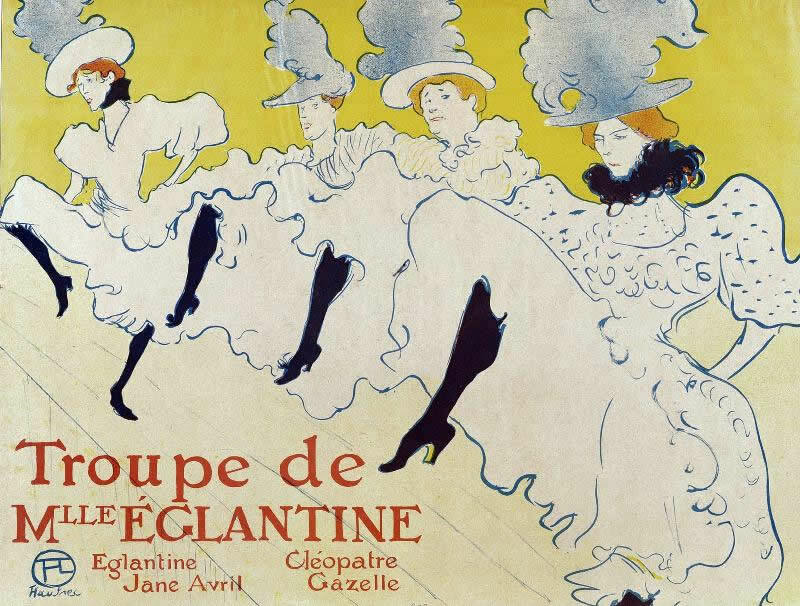 â€œRomance In A Canâ€ Film Festival, presented by Red Chemistry, Inc., has earned a reputation for bringing the finest European romance films to U.S. audiences since 2006. This year, the film festival will run from May 5 to May 10, with a kick-off event on March 3 at the Anglerâ€™s Boutique Resort in Miami Beach at 7:00 p.m. The event will feature screenings of short films, hors dâ€™oeuvres by the Anglerâ€™s Boutique Resort and ChamarrÃ© wines (event cost is $15). 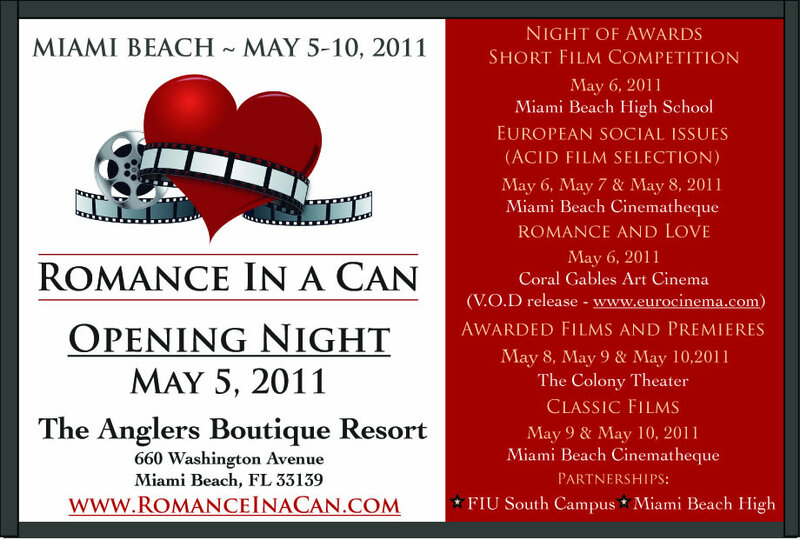 Romance In A Can will showcase its film program at various locations including the Colony Theater, Miami Beach Cinematheque, Miami Beach High School, Alliance Francaise, Coral Gables Art Cinema (in collaboration with the Video on Demand Channel eurocinema) and FIU South Campus. Furthermore, Romance In A Can is the only film festival dedicated to the screening of European romance films in North America. Since its inception in 2007, Romance In A Can has exposed U.S. and Hispanic audiences to a number of unsurpassed films from the best and brightest movie makers in the European film market such as I Am Staying starring Sophie Marceau, Escuela de Seduccion with Victoria Abril, Mujer Invisible with Maria Bouzas and many more. This year, the festival will screen films from over ten European countries including France, Italy, Spain, Germany, Israel and others, which are traditionally shown during opening and closing night. About the film programming: During the 2010 Cannes Film Festival, ACID (Association for the Distribution of Independent Cinema) presented a selection of 9 acclaimed international full-length films including Into Our Hands, Cuchillo De Palo, Donoma, Fix Me, Flowers of Evil, Chicks, Pursuit, Robert Mitchum is Dead and The Drifter. This year, Romance in a Can has the pleasure of presenting the same 9 feature films from the ACID Cannes selection in Miami. Created in 1994, ACIDâ€™s mission is to give visibility and public release to new talents in the film industry. ACIDâ€™s support does not stop after the presentation in Cannes. In partnership with 35 festivals, ACID presents movies in France (Paris, La Rochelle, Lussas, Pau, Belfort) as well as abroad (Montreal, Bratislava, TÃ¼bingen, Linz, Prague, Lisbonne, Pesaro) and now Miami. Roamnce In A Can also embraces Miamiâ€™s cultural arts by giving back to the community through Red Chemistry, Inc., a non-profit organization that raises funds for local youth art programs. Each year, Red Chemistry sponsors a short film competition with local film students from Miami Beach Senior High School and international film students. This yearâ€™s theme is â€œFor The Love Ofâ€ and the awards ceremony will take at Miami Beach Senior High School on Friday, May 6 at 7:30 p.m. A jury of professionals from the movie industry will review films made by European film students as well as films produced by local MBSH students. Awards and cash prizes are given each year during the ceremony. The best films will be purchased by eurocinema and aired on their on-demand channel. 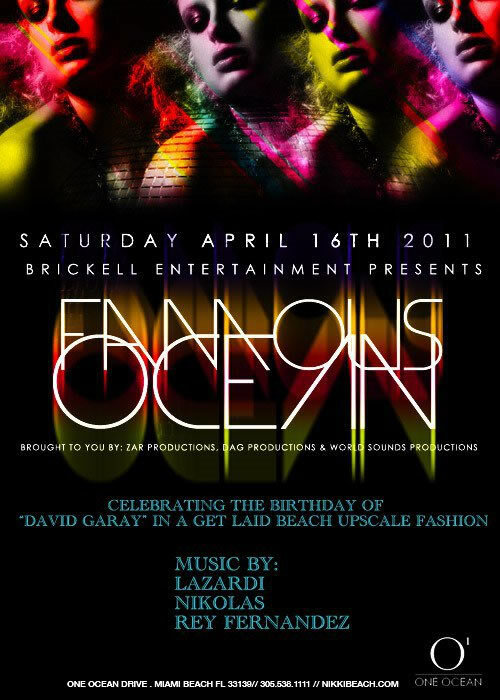 The time has come for Michael Capponi’s annual birthday celebration, this Saturday April 16, 2011. This yearâ€™s party is a spoof on the two polar opposite lives Michael Capponi leads today. There is Michael Capponi’s life in Haiti, the poorest country in this hemisphere and his other life in South Beach, throwing lavish parties. This birthday is way over the top! The private yacht, Allure Shadow, is so big that it won’t even fit under MacArthur causeway. The deck on yacht is as large as any dance floor in any club. 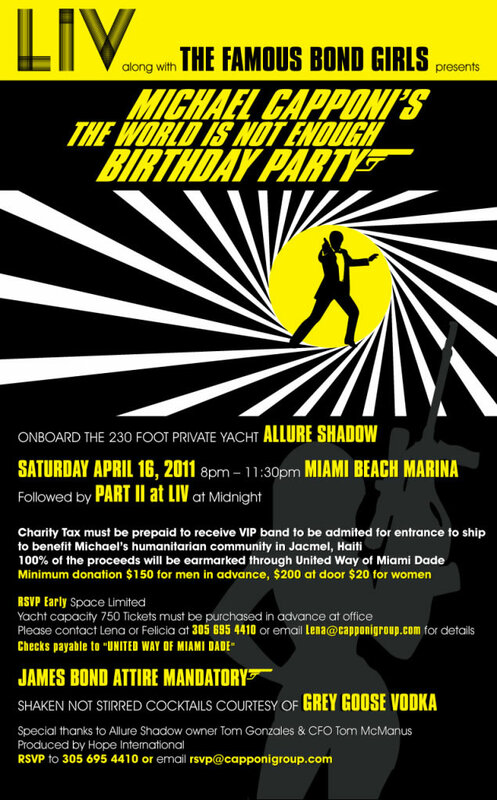 Upon entering the yacht at the Miami Beach Marina at 8:00PM, you will be taken back to a James Bond experience with all guests dressed in theme. Shaken not stirred cocktails courtesy of Grey Goose Vodka. Lite bites will be provided by Aarons Catering. In lieu of gifts, there is a minimum donation of $150 in advance or $200 at the door for men. Ladies donation is $20. Due to the limited capacity, it is highly suggested to make your donation and reserve your wrist band prior to my party. All monies collected go straight to United Way to help support my Humanitarian Community in Haiti. At 11:30PM the music stops and everyone heads to LIV for a surprise part II, which will also blow everyone away! Please make sure to call Michael Capponi’s office at 305.695.4410 in advance. RSVP is required, email rsvp@capponigroup.com. Remember James Bond attire is mandatory. 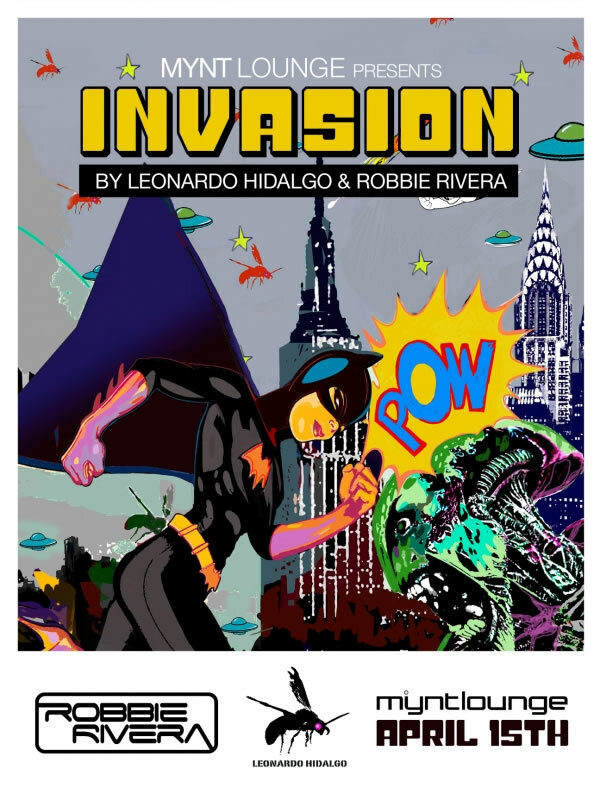 Leonardo hidalgo’s new art work will be showcased in a digital visual feast at the beat of international known dj robbie rivera. Doors open at 11:30 and we strongly suggest that our guests arrive at that time to guarantee entrance and form part of a special unveiling. 7pm is the ALS fundraiser, 11pm set is FREE! Come help raise awareness and funds for the ALS Recovery Fund. Open bar, free food, and PALO! from 7-11. Afterwards stick around for more live music by PALO! and Dangerflow. Tickets $50 in advance or $60 at the door. Call Marilyn at 305-513-3350 or 305-799-0999 for tickets in advance. $10 suggested donation benefitting Care Resource. 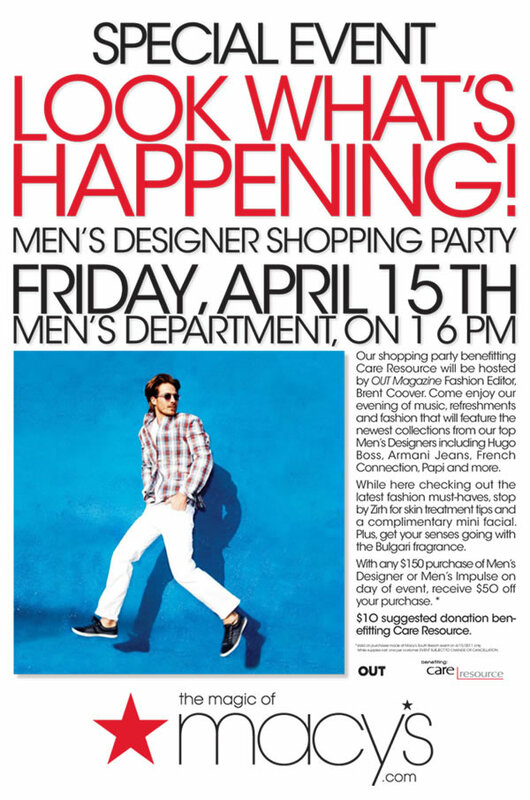 *Valid on purchases made at Macyâ€™s South Beach event on 4/15/2011 only. While supplies last, one per customer. Event Subject To Change Or Cancellation. Join the Chez Badeaux Family as we celebrate our first year anniversary. Those who book appointments this Saturday will be in store for a surprise filled day! 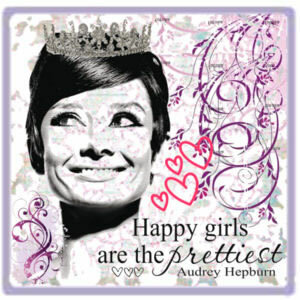 What more could you ask for at a Tres Fab birthday affair? So don’t miss out! Saturday April 16 at 9 PM. For more information, call 305-534-3600 or visit thevandykecafe.com. Luis Bofill has shared the stage with stars like Ruben Blades, Mark Anthony, Luis Enrique, Bono, Al Dimeola, Olga Guillot, Paquito D’ Rivera and many others. In August 2005 he came out with new production called “Costumbres” on the SONY BMG U.S. Latin label. All the compositions on the CD are by the famous Mexican composer Juan Gabriel. The producers were Omar Hernandez and Ricardo Eddy Martinez. He is working on his new production with the producers Descemer Bueno and Roberto Carcasses with guests like Kelvis Ochoa and Alkebulan. ranging from Salsa, Hip-Hop, R&B Soul,House Tunes…. A Miami landmark since 1955, Jumboâ€™s was one of the first restaurants to integrate in 1966 in the midst of segregation. As stated in its Proclamation from the City of Miami, â€œThrough the open mindedness of the management in hopes of making a difference, Jumboâ€™s became the first restaurant to hire African-American employees in 1967.â€ Established by Isadore Flam over 50 years ago, Jumboâ€™s is currently run by his son Bobby Flam, a civic leader and City Year Champion. City Year Miami is seeking to engage local business owners by providing volunteers clean up storefronts, as well as encouraging them to come out and beautify the area around Jumboâ€™s. Service projects will include repainting parking stalls, landscaping the entrance of Jumboâ€™s, trimming grass and removing weeds, amongst other projects. All businesses on 7th Avenue from 62nd to 79th Street are welcome to participate, as this event will be taking place from 10am â€“ 3pm. There will also be entertainment including an African drumline, Bobby Springer, and conga music! In you are interested in participating, please contact City Year corps member Keshia Powell (786-238-2977/kpowell11@cityyear.org) or Bobbyâ€™s business partner Ken Knight (305-305-2699). We look forward to a great day of service as we recognize what the Sun-Sentinel has called â€œa social and economic anchor of the community.â€ Again, this is a surprise for Bobby, so please do not mention this event to him. In the meantime, feel free to enjoy some delicious soulfood at this American Classic and thank you for your support. Thursday April 14, at 9 PM. For more information, call (305) 534-3600 or visit thevandykecafe.com. Some more detail: Not to be missed, come check out Troy’s new band celebrating the release of his new album, ‘Nu-Jive’ plus special guest Chris Cadenhead on auxiliary keyboards. The evening will kick off with some straight ahead jazz in the format of The Troy Roberts Quartet, followed by all original material freshly recorded on this new release! Come along and tell your friends! Hailing from the remote location of Perth, West Australia, saxophonist and composer Troy Roberts has recently relocated to the USA. 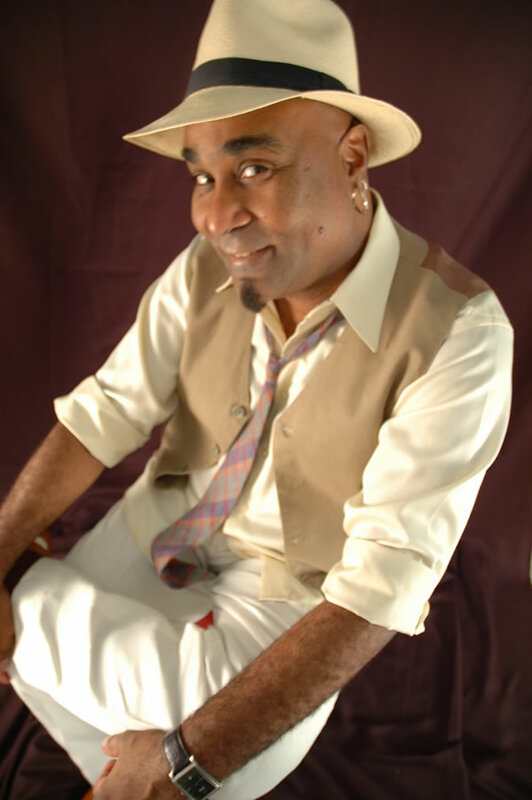 Having completed a Masters and currently teaching part-time at the University of Miami, Troy recently won two consecutive Downbeat Jazz Soloist Awards, two consecutive West Australian Music Industry Awards, was the only Australian finalist in the Thelonious Monk International Jazz Saxophone Competition, and continues to maintain a busy performance schedule around Australia, Europe and the USA. 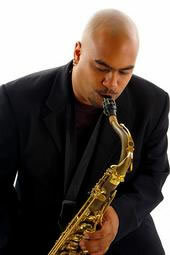 Having shared the stage with greats such as Sammy Figueroa (performing on his Grammy-nominated album, The Magician), Robby Ameen, Lew Soloff, Lauryn Hill, James Morrison, Kevin Mahogany, Slide Hampton, Gary Bartz, Geoff Keezer, Rodney Whitaker, Carl Allen, Dennis McCrell, Jeff Hamilton and John Clayton, Troy recently released his third album, The XenDen Suite â€“ an 8-part composition for jazz quartet and string quartet â€“ and also his first DVD â€“ a live concert performance of The XenDen Suite. Troy leads the exciting nu-jazz project, Troy Robertsâ€™ NuJivee, which features some seriously talented young Miami-based artists, while showcasing Troyâ€™s original compositions â€“ an eclectic concoction of jazz, groove, Latin and neo-soul. In March 2011 they released their first CD, â€œNu-Jiveâ€. Wednesday, April 27, 2011 at 7:00 p.m.
Argentinian performer Alejandra Czarnyâ€™s and special guest Aaron Kula infuse Guava Rugelach Lounge with their rhythmic compositions of Latin American and Yiddish songs. Czarny has been a singer and song-writer for more than 20 years, and has released two albums, â€œUnder the White Starsâ€ and â€œSongs about Songs.â€ Aaron Kula serves as Director of Music Collections and Performance at Florida Atlantic University, conducting the student symphony and teaching music theory. Kula became musically inclined at an early age, attending Broadway shows each week as a child and many years later, going on to found the Klezmer Company Orchestra in 1997. Together, Czarny and Kula will present several Jewish-inspired Spanish arrangements for all to enjoy. Sunday, May 1, 4 p.m.
Oscar Wilde was aptly named. He was indeed a wilde man with great talent who wrote great plays, poetry and novels. However, his personal life was like a modern day Soap Opera. The discussion of the life of Oscar Wilde will be led by Michael Gillespie, PhD, Professor of English at Florida International University, which recently appointed him Director of FIUâ€™s Center for the Humanities in an Urban Environment. Dr. Gillespie is a fairly recent arrival in Miami. 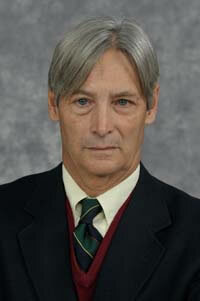 Before relocating here, he taught for 29 years at Marquette University. He has written or edited 20 books which have included the works of James Joyce and Oscar Wilde and books on Irish film. His many prestigious positions include Member of the Board of Trustee of the International James Joyce Foundation and President of the American Conference for Irish Studies. Dr. Gillespie is currently working on an oral history of early Joyce studies and a book on Joyce and Theology. All Celtic Cultural Series events are free and open to all. Ample parking is available on Miracle Mile and in the City Parking Garage behind John Martinâ€™s, accessible from Aragon Avenue. The Celtic Cultural Series is produced by the St. Patrickâ€™s Day Committee, Inc. with the support of the City of Coral Gables, the Miami-Dade County Department of Cultural Affairs, the Cultural Affairs Council, the Mayor and the Miami-Dade Board of County Commissioners. Sounds of Chamber Music at St. Stephen’s Compliment Great Taste of the Grove! On Sunday, April 17th, start your day enjoying the Great Taste of the Grove,and then at 4 PM, stroll over to St. Stephen’s Episcopal Church for the last Chamber Music Concert of this season. 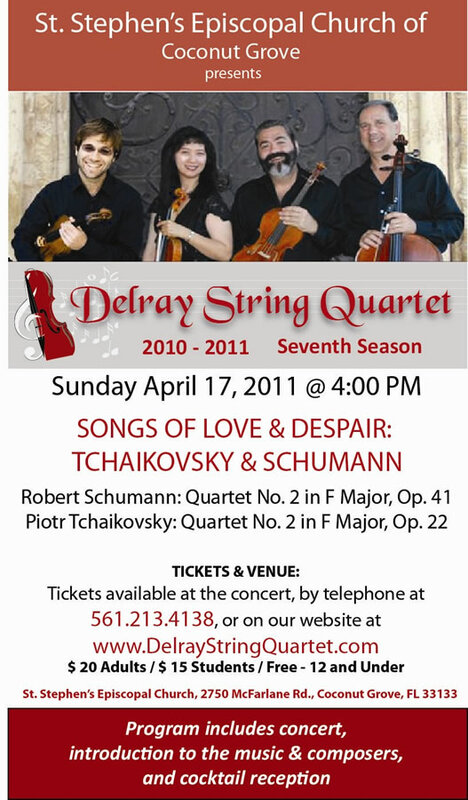 Imagine this…for $20 ($15 if you are a student), you can experience an incredible chamber music concert with The Delray String Quartet, PLUS a complimentary cocktail reception during intermission and following the concert. Free parking at 50 NW 2 Ave.
Join HistoryMiami for the opening our latest exhibit. Wine and hors dâ€™oeuvres will be served. RSVP by April 18 to 305-375-5356 or membership@historymiami.org. Lip Service is teaming up with the award-winning radio show Under the Sun for an evening of live storytelling. April 23, 8 p.m.; doors open at 7:30 p.m.
Tickets $15. They will sell out, so buy yours today! This is a night like no other. You will experience the heartbreaking, hilarious, personal stories of Lip Service–like watching people read their diaries–AND you will go behind the scenes to see how radio is made. Lip Service, produced by Andrea Askowitz and Esther Martinez, is a co-production of Books & Books. Under the Sun, created by co-hosts Dan Grech and Alicia Zuckerman, is a co-production of WLRN and ZG Public Media. 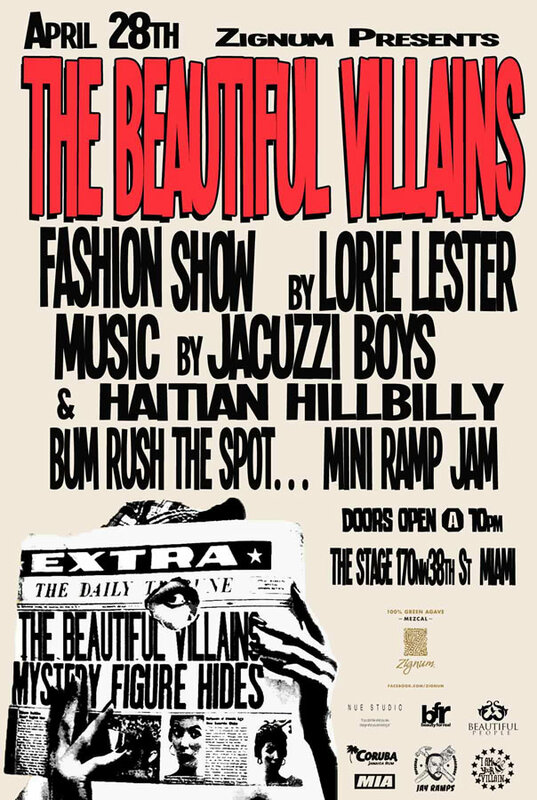 Miami-based fashion designer Lorie Lester will debut her Spring/Summer 2011 Collection with The Beautiful Villains Fashion Show. Entertainment will also include live music by garage rockers Jacuzzi Boys, lite bites by food truck Ms. Cheezious, specialty cocktails by Zignum Mezcal and Coruba Rum. The Stage, located in the heart of Miamiâ€™s Design District, will open its doors at 10:00 PM. The warehouse turned trendy bar & lounge has an outside patio where a mini ramp jam skate boarding contest will take place later in the night. DJ Haitian Hillbilly will warm up the crowd for the fashion show, which will begin at 11:00 PM. Lorie Lesterâ€™s Spring/Summer 2011 Collection is a fashion flashback to the 70s. The Bohemian styles include peasant blouses, sweeping floor-length dresses and skirts, minis, crop tops and shorts in vivid shades of green, blue and orange, as well as neutrals. The handcrafted line is created with fabric blends of silks, micro-modal, and organic cottons â€“ bringing out a womanâ€™s figure while maintaining that laid back hippy vibe. Lorie Lester shows how to mix-and-match this seasonâ€™s trends; pair it with the right shoes, accessories and a Beautiful People handbag to easily take you from day to night! 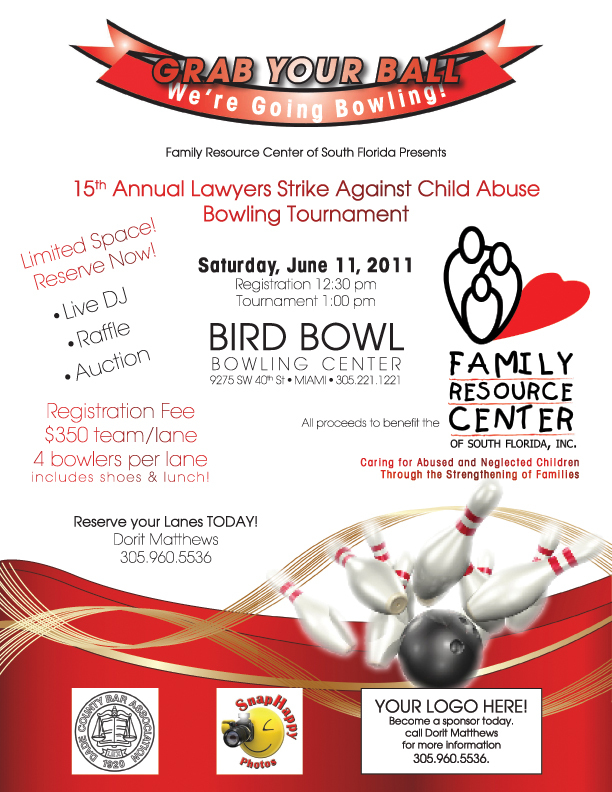 If you are not available to bowl, please consider purchasing a lane to donate to children living in foster care. Donations are fully tax deductible. The proceeds of this event will go to support critically important programs aimed at treating and preventing child abuse and neglect at the Family Resource Center of South Florida. For more than 30 years, the Family Resource Center has responded to the growing needs of abused and neglected children in our community by promoting prevention, communal responsibility, and supporting parents by helping them develop the skills and knowledge they need to be nurturing and loving parents. 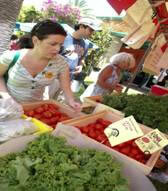 Celebrates Fresh, Organic Food and The Joys of Gardening! Come see what’s cooking at Fairchild during our celebration of fresh fruits and vegetables and the gorgeous gardens they grow in on Saturday and Sunday, April 30 and May 1, 2011. Guests can gather new tips and recipes from our popular culinary and gardening demos taught by top chefs and gardeners. And donâ€™t forget to shop our Farmersâ€™ Market! Local vendors showcase the best fruits, vegetables and herbs available in South Florida, as well as honey, jams and fresh baked goods and spices. Discover Fairchild’s Edible Garden, lush and delicious with herbs, vegetables, fruits and ornamentals that can be grown in your home garden. New this year, guests can listen in on Random Acts of Gardening, informal â€˜pop-upâ€™ lectures in the plant sales area covering South Florida gardening, environmentally friendly landscaping and more. Children will enjoy special hands-on and culinary activities in the KidWay including yoga, kids’ cooking demonstrations and kitchen botany. And donâ€™t forget to shop the 32nd Annual Spring Plant Sale with thousands of plants from Fairchild’s nursery and local plant vendors. Thereâ€™s something for everyone at Fairchildâ€™s Food & Garden Festival! Join us for fun for the whole family as kids can learn about plants through hands-on activities, as well as composting, kitchen botany and a plant color match. Short Chef brings his humor and spirit to helping kids master the cooking and healthy eating at 12:00 a.m. and 2:00 p.m. on Saturday and Sunday. Composting for Kids, use your food and paper waste to make the best soil possible for your garden, all while having fun! Also, learn how to make your own worm bins with Lannette Sobel of FertileEarth.org. While you are enjoying the garden, take a moment to experience poetry as part of O, Miami, the inaugural month-long, county-wide poetry festival. Haikus by O, Miami poets are placed in various peaceful spots throughout the garden so that visitors may come across the works and have moments of reflection. Green Mobility Network will be here Saturday and Sunday offering their unique bike valet service at the South Gate. Bike and $5! If you walk or ride your bike to Fairchild, you will receive $5 off the admission price for adults and $2 for children. It’s our way of thanking you for contributing to conservation. Members: Free for Fairchild Members and children 5 and under. Fairchild Tropical Botanic Garden is dedicated to exploring, explaining and conserving the world of tropical plants. It is one of the premier conservation and education-based gardens in the world and a recognized international leader in both Florida and international conservation. Currently Fairchild has field programs in over 20 countries including support to protected areas in Madagascar and Africa and botanic garden development and renovation projects in South and Central America, the Caribbean and Middle East. Fairchild Tropical Botanic Garden houses palm and cycad collections that are nationally recognized by the American Public Gardens Association (APGA), has the worldâ€™s greatest living collection of palms and cycads; an education program reaching more than 70,000 school children per year; hosts popular events like the International Chocolate Festival, International Mango Festival and International Orchid Festival, the Edible Garden Festival, the Ramble, concerts, affiliated plant society shows and sales and more; and, is a not-for-profit organization relying on the support of its 45,000 members and benefactors. Fairchild hosts major art events such as Les Lalanne at Fairchild and Yoko Onoâ€™s Wishing Grove this year, Yayoi Kusama at Fairchild last year, Mark di Suvero, Fernando Botero, Dale Chihuly and Kris Martin at Fairchild in 2008, Botero, Lichtenstein and Chihuly at Fairchild in 2007 and Chihuly at Fairchild in 2005 and 2006. Fairchild is located at 10901 Old Cutler Road, Coral Gables (Miami), Florida 33156, just a thirty minute drive from South Beach. Admission is $25 for adults, $18 for seniors, $12 for children 6-17 and free to children 5 and under and Fairchild members. For more information, visit us at www.fairchildgarden.org and on Facebook and Twitter. Sizzling Salsa On Wednesdays @ Moonchine Bistro+ Bar+ Lounge!!!! Where You Can Learn How To Dance Salsa For FREE From 9-10PM. Casting for Ugly Kitchens â€“ Selected Homeowners Could Get a Free Remodel! 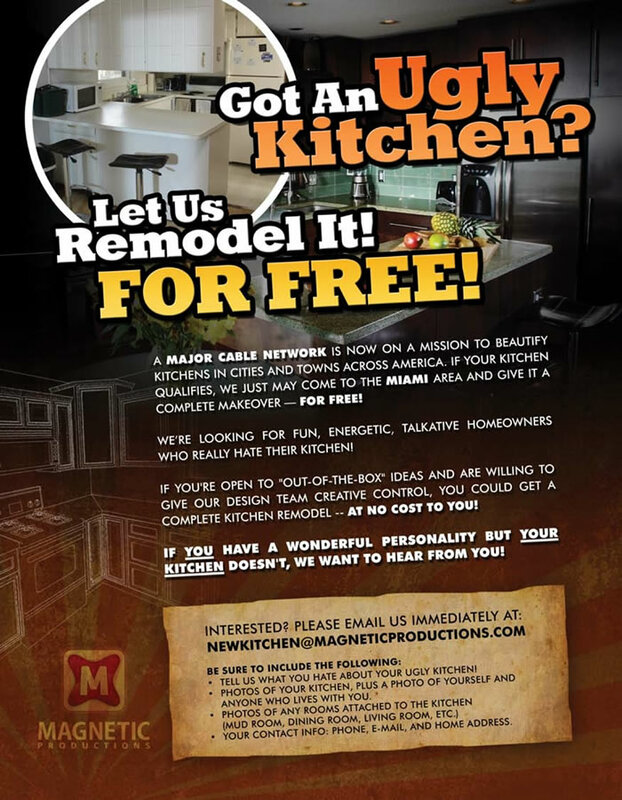 Magnetic Productions is currently searching the Miami area for fun, outgoing, enthusiastic homeowners who have ugly kitchens in need of a makeover for a new television series! The to-be-announced project features kitchen design remodels in various towns and cities across the country and the show is scheduled to air on a national cable network later this year. Homeowners with great personalities and who are willing to turn over creative control to a design team, could get a complete kitchen remodel â€“ for free! Register Now and Join us for our monthly Networking TweetUp and fun at Fado Irish Pub in Mary Brickell Village. Complimentary appetizers and discounted happy hour menu will be available! SocialBuzzTV hosts monthly networking events to bring the community together and support each others events! ANYONE that wants to network and grow their business by making contacts locally! Be sure to bring lots of business cards and a smile of course! Supported by: Soul Of Miami, SocialMedia305, General Motors of South Florida, Lola & Me Cupcakes, Star of Hope 4 Kids, Ultimate Auto Werks, The Firm, Miamishared.com, Discounts for a Cause, Premiere Networking Alliance. Check out Life is Art at www.lifeisartfest.org for more details and rsvp information. For the 11th year in a row, Miamiâ€™s oldest bar will team up with the New Orleans culinary specialists at rose baby to present â€˜The Tobacco Road Crawfish Boil And Seafood Festival,â€™ Tobacco Road â€“ 626 A. Miami Avenue â€“ Sunday – April 17th â€“ 12noon â€“ 6pm. Adding to this yearâ€™s excitement will be the addition of 10 of Miamiâ€™s top food trucks, each serving a specialty seafood dish. Additionally, Tobacco Roadâ€™s neighbor, the River Seafood & Oyster Bar will be serving their signature fried oysters. 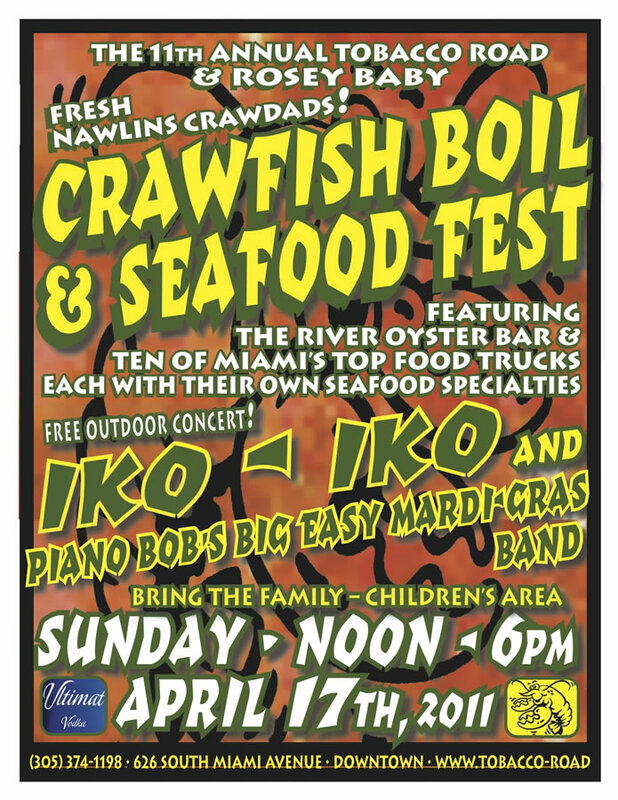 For the kids, the festival will feature crawfish races, face painting and a poster contest! This week come meet CEO’s Entrepreneurs and Business Owners of all Industry Types. *$4. VALET Happy Hour Specials Bring Lots of Business Cards! Register Today And You Will Be Entered To Win! Lunch For 2 At: Intercontinental Hotel Miami Indigo Bar & Restaurant 100 Chopin Plaza Miami, Fl *Must be present to win. Register in advance and our staff will go to work to find the right connections for you…our #1 goal is your success! We want to connect you with the people that can help grow your business. 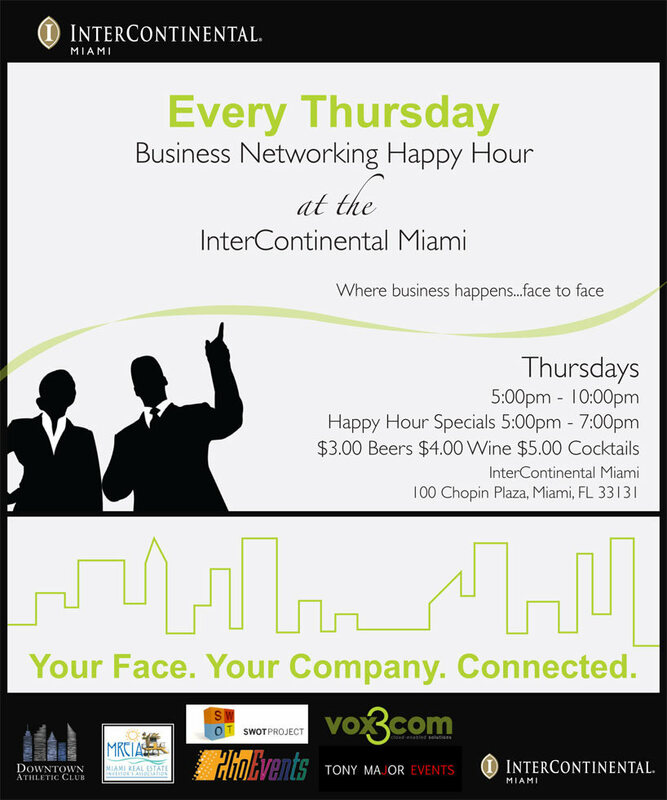 What sets our Networking Happy Hour apart from others is that we are working for you! Register and tell us who you want to meet and we will personally connect you with people seeking to do business with you. Our #1 Goal is your success! We want to connect you with the people that can help grow your business.